Set in 300 acres of parkland, Dunbrody House has everything you could need for a restorative break. There’s the tranquil Dunbrody Spa, cookery school, award-winning restaurant, seafood and champagne bar, and even a traditional pub. Meanwhile, there’s also easy access to the outdoors. With woodland trails, sandy beaches, and open gardens all within a short drive of the hotel, it’s a wonderful place to combine fresh air with indulgence. There’s no mistaking the fact that Dunbrody is a luxury hotel. One of Ireland’s Blue Book’s beautiful properties, Dunbrody House is an elegantly restored Georgian manor house. 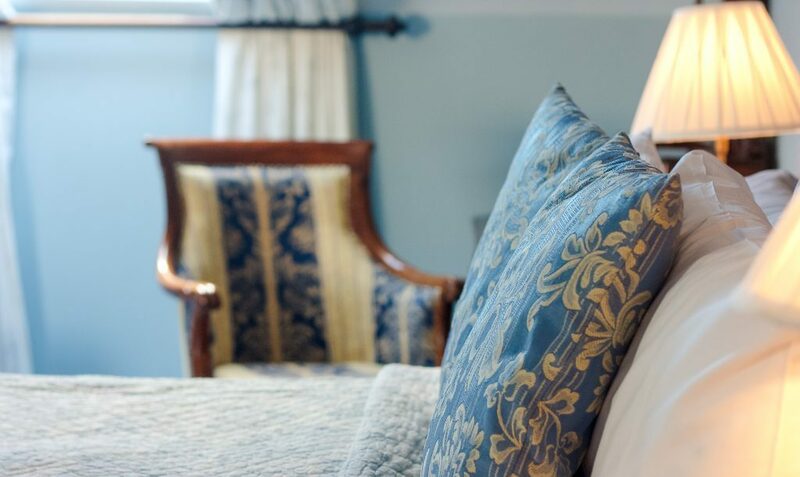 From the sparkling chandeliers to the clinking of champagne glasses on the terrace, a stay at Dunbrody feels like a treat. But it’s also a relaxed and comfortable hotel, with comfy sofas to sink into and crackling fires on winter evenings. The owners are a husband and wife team, Kevin and Catherine Dundon, and their love for the hotel is apparent in every detail. Directly across the courtyard from the main hotel, Dunbrody House Spa is a fresh and airy space to retreat to. There are tranquil treatment rooms, a relaxation area, steam room, mud room, and pristine changing rooms. Although the spa isn’t huge, it has all of the necessities for a relaxing spa day. The therapists at Dunbrody use all Aromatherapy Associates products. These products are natural blends of essential oils, which means that Dunbrody House Spa treatments are free from harsh chemicals. The spa menu includes massages, facials, and wraps, starting at €50 for a half-hour treatment. I experienced the best of both worlds by opting for a 30-minute Essential Rose facial, followed by a 30-minute massage. If you only have an hour to spend in the spa and you’re having trouble choosing, try combining two treatments for a blissful hour. But the foodie element of Dunbrody Spa makes the experience truly unique. Guests can choose to have treats that compliment their treatments in the spa. During the summer, expect sweet snacks like citrus fruit salads, sorbet, and chilled fruit soup. Winter is a perfect excuse for indulgence, so a chocolate fondue is sometimes an option. Dunbrody House is not a place to count calories because this hotel is probably best-known for its food. After one night in The Harvest Room, Dunbody’s award-winning restaurant, I could understand why. Kevin Dundon, a celebrity chef in Ireland and the US, oversees the Dunbrody House menu. Although dishes change according to the season, you can expect delicious flavour combinations and top-quality ingredients year-round. Seasonality and locally sourced ingredients are non-negotiable at Dunbrody House. Lots of the vegetables are grown on-site in the hotel’s vegetable garden, while the herb garden produces a variety of additional flavour. Fish and meat come from local suppliers in Wexford. There are a few options when it comes to dining at the Harvest Room. There’s the Seasonal Menu, which I enjoyed three incredible courses from. Meanwhile, the eight-course Tasting Menu (€85) can also be ordered with wine pairings. The Dunbrody House Sunday lunch is a lovely way to finish a relaxing weekend. Or after a morning spent exploring the windswept Hook Peninsula, you might feel like treating yourself to the Dunbrody House afternoon tea. You might need to extend your stay to fit in all of the foodie options at Dunbrody. Besides the Harvest Room, there’s the Champagne & Seafood Bar. And the cosy, traditional pub in the grounds of Dunbrody House offers a much more casual menu. But no matter which option you choose, you can still expect fresh, locally-sourced ingredients. It’s not all about relaxing at Dunbrody – you can also learn how to whip up your own dishes and desserts. 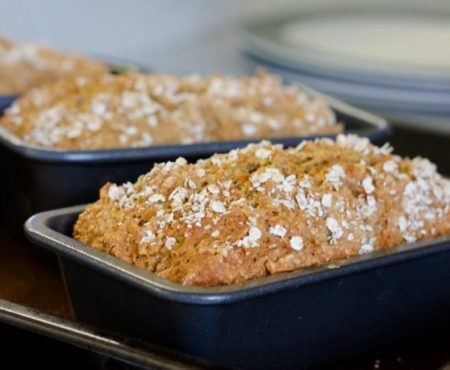 Dunbrody House Cookery School runs a range of workshops and courses throughout the year. So whether you’re interested in perfecting simple dishes with a ‘One Pot Wonders’ workshop, or want to take your skills to the next level with a ‘Dinner Parties for Six’ course, you’ll find something to suit. During a two-hour cooking demonstration with Julien Clémot, the Cookery School Chef, I got a glimpse of what the cookery school is all about. Julien is serious about good food, but his enthusiasm and warmth make him a very fun teacher. From encouraging my poor attempts at piping pastry to showing me how to create a deceptively simple smoked salmon dish, Julien made the whole experience enjoyable. No two rooms are identical at Dunbrody House and each one has a unique mix of contemporary and traditional furnishings. Some rooms have balconies that overlook the garden, while others have exposed wooden beams. Kevin and Catherine kept as many of the original Georgian features as possible, but the bedrooms also have all necessary modern comforts. Guests can choose to book a standard, superior, deluxe room, or suite. I stayed in a luxurious deluxe room, that was spacious enough to run around in and decorated in a restful palette of muted blue tones. The Hook Peninsula is a patchwork of green fields, tiny villages, and golden beaches. Spend some time exploring the beaches of Dollar Bay, Boyce Bay, and Duncannon, which are all just a short drive from the hotel. 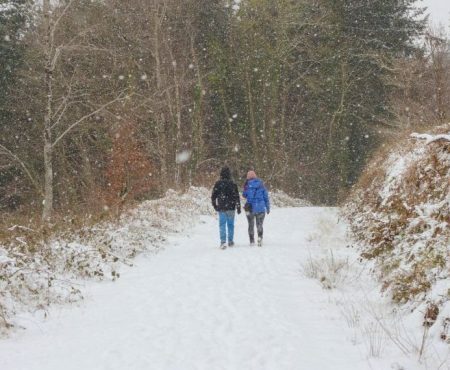 Or stroll through woodland, along the looped walking trails that start at Tintern Abbey. End your day at Hook Lighthouse, the oldest operating lighthouse in the world. I spent a freezing evening here, watching the sunset while waves crashed over the rocks below. 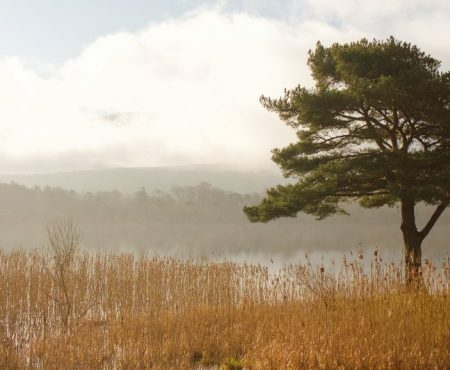 An Irish country house hotel mightn’t be a typical choice for a wellness break. But after two days of eating nourishing food, relaxing in the spa, learning to cook, and exploring the coast, I left Dunbrody House feeling more refreshed than I’d felt in ages. Many thanks to Ireland’s Blue Book and Dunbrody House for inviting me to stay. As always, all opinions are my own. This post contains some affiliate links. This means The Idyll receives a small commission on bookings made through this site, with no additional cost to you.